We make sure your website performs at the highest level. We manage your email and make it easy for you. 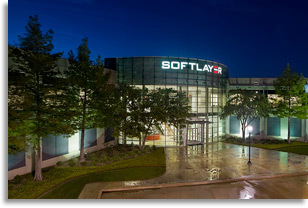 We have selected Soft Layer/IBM as our data center and we love them for their 24/7 Live Personal Support! Soft Layer/IBM is the number one dedicated server hosting provider in the world with over 48,500 servers under management! So your website and email service is virtually fail safe! Our rates are reasonable and we are available 24/7. In some occasions, you may have to leave a message, but we will return your call within 30 minutes. WP Engine will equip you with a suite of agility, performance, intelligence, and integration solutions, so we assist in managing a range of online experiences from campaign sites to content hubs to eCommerce extensions. This 3rd party plaform is unified by powerful technology, award winning service, and an ecosystem of partners that expand the value you gain from all solutions. MBS will manage everything for you!! All the basics for starting hosting. Call for more details 214-299-8699 ext. 1! We add the convenience of being your Web Host and Web Master under one roof for seamless accountability to keep your business up and running. Multimedia Business Solution’s Customer Support is here to help you find what you need. Send us your question – we’ll get back to you with an answer within 24 hours. 24/7 customer support. We’re here to help you any time, day or night. Our Hosting setup fee includes up to 1.5 hours of setup time. If we determine that it could take longer or it does take longer than usual, we will advise and charge for the addition time.MBS Hosting is working hard to earn your business. Our world-class data center partners are your perfect hosting locations. Our administrators are here to assist you 24/7 with all your web hosting needs. Unlike other hosting companies, who use single processor low end workstation class computers, MBS only uses server class hardware and all new accounts are provisioned on our DELL Quad Processor 2.4GHz Intel Xeon Servers. That’s over 9GHz of processing power per server. Featuring server class SCSI hard drives and 1GB – 6GB RAM, these servers offer truly amazing speed and stability. Ask around and you will see that no other provider in this price range can match the performance of our servers or support staff! New web hosting accounts are usually set up within 1-12 hours. We do not offer instant activation on any web hosting plan. Accounts are set up after our authorization process. This has consistently insured the integrity of our customer base. Once your domain is hosted with us, you will experience affordable, reliable, friendly, and professional web hosting. Still not convinced? MBSToday.com Hosting maintains a 96%+ client approval rating with Hosting Assured.